Many well-established, highly educated professionals & their families are drawn to West End Richmond real estate, home to some of the most stunning real estate in the Central Virginia region. A blend of classic historic properties, burgeoning new construction projects, and luxurious properties draw from contemporary architectural styles. You'll find a collection of often beautiful, custom-detail homes with comfortable living spaces and large lots. Where is West End Richmond, VA Real Estate? Richmond, VA real estate is typically divided into four regions. The term "West End" is used to loosely reference the western area of the city, bounded in the east by I-195, in the north by I-64, and in the south by the James River. Depending on who you ask, the westerly border can go as far out as Route 288, in which case it's often referred to as the "Far West End", or just at the border of Tuckahoe simply referred to as the "Near West End". But regardless of its boundaries, West End homes are quite unique, thanks to the many custom details featured in the properties. These can typically include built in cabinets and bookcases, cathedral ceilings, double vanities, and French doors, among others. Gorgeous custom kitchens boast high-end appliances such as countertop ranges, double ovens, and wall ovens. Many homes in the area also have in-ground swimming pools. The West End real estate area offers lots of amenities for its residents, such as its proximity to the downtown core of Richmond. Shoppers can find their retail fix at Regency Square and The Shops at Willow Lawn, with retailers like Macy's, Sears, JC Penny and others, as well as charming local fashion and lifestyle retailers. Avid golfers can obtain membership at The Country Club of Virginia and tee off or play a full 18 holes at the nearby James River Golf Club. 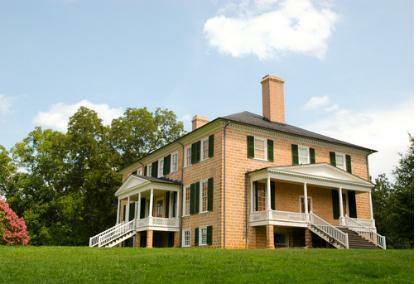 Lovers of history can pay a visit to the historic Virginia House (operated by the Virginia Historical Society), a well-preserved country house-museum that serves as a landmark in the Windsor Farms neighborhood of the West End. The Collegiate School is a large private K-12 school for Richmond children, while the University of Richmond is a prestigious private university consisting of five schools: The School of Arts & Sciences, University of Richmond School of Law, Robins School of Business, Jepson School of Leadership Studies, and the School of Professional & Continuing Studies.